Count to 3 and write how many are in each set on the line. Draw a line to the set with the same number of objects. Color. 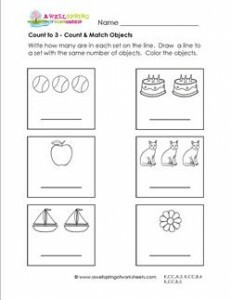 Please go to this page to see all the count to 3 worksheets in this set.